When it comes to desserts, classic is back! Chefs around the world are revisiting favorites from their childhood and creating delectable dishes that spark a sense of nostalgia in all of us. From boozy ice cream to edible cookie dough, nostalgic desserts made for adults are the latest and greatest trend to hit 2018. 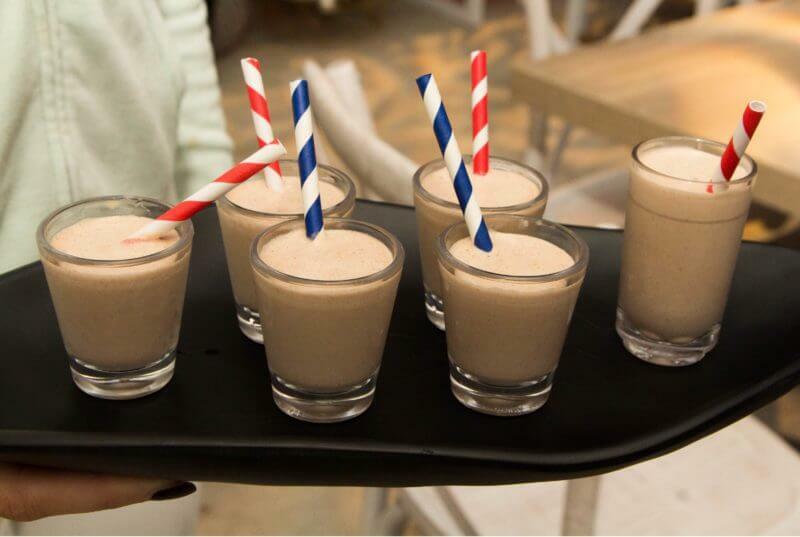 Boozy slushies, ice cream, and shakes could quite possibly be the greatest idea to hit Chicago. Places like The Boiler Room, 25 Degrees, and Bub City serve up tasty grown-up desserts that will take you back to your childhood. The Boiler Room has created a Jameson soft serve ice cream that will surely knock you off your feet, while 25 Degrees is hip to offer spiked shakes that will change your life. Bub City even offers a frozen treat called “The Mexican Firing Squad” that combines the classic slushie you grew up drinking with tequila and angostura. Remember indulging in cookies and milk before bedtime rolled around? You can experience that same sense of satisfaction now, and not have your parents limit how many cookies you eat! Insomnia Cookies is a one-stop-shop for your milk and cookie desires that’s particularly popular with college students (they’re open until 3 AM), as they deliver warm, fresh baked cookies straight to your door along with ice cold milk. If you’re willing to expand your palette a little more, El Ideas in Chicago offers a limited bite-size foie gras/gingerbread cookie rolled in crushed candy canes, served with an icy White Russian. Of course, we’ve hopped on this nostalgia-bandwagon ourselves, and offer multiple classic dessert options that you won’t be able to pass up at an event. We put a twist on the boozy ice cream trend with a Spiked Sorbet Bar that pairs classic sorbet flavors with matching alcohols (try our watermelon sorbet with peach schnapps, or lemon sorbet with Campari)! Not to mention our Drunken Cookie station that includes an Inspired Chef dipping various flavored cookies in warm chocolate liqueur, then into candy pieces. 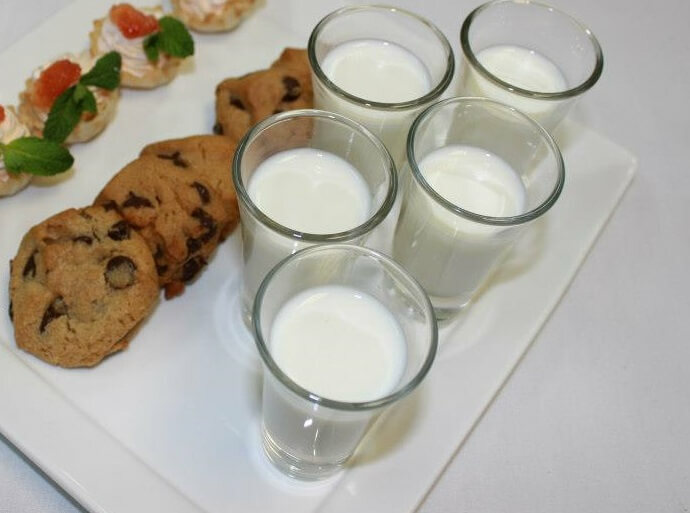 And can you pass up a mini warm chocolate chip cookie served with a vanilla bourbon milk shooter? We sure can’t, and it’s one of our most popular passed desserts that also doubles as a fantastic late-night bite at weddings. 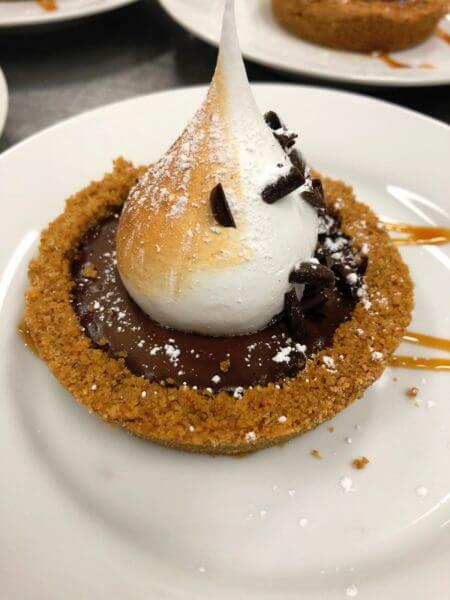 One of our all-time favorite desserts that we offer is a S’mores Tart – which is a much easier to eat version of the childhood classic, topped with fluffy toasted meringue, chocolate shavings, and a caramel drizzle. Desserts may be downplayed more now than ever, but the idea of incorporating the nostalgic feeling into classic dishes is a trend that everyone in Chicago can get with. We’ve hopped on the bandwagon and will be riding it for a while – sipping on our boozy slushies.